New Delh: Virgin Atlantic has announced a global airline first, as it launches a fully accessible inflight entertainment system for customers with sight loss. The technology will be offered throughout its fleet serving destinations across North America, the Caribbean, Africa, China, India and the Middle East. Televisions in the sky have come a long way since the days of a single TV at the front of the cabin with seat back touch screen entertainment now commonplace across the industry. 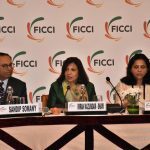 However, while this is a benefit for many, touch screens can create a barrier for customers with limited visibility due to the challenge of navigating the system. Now, Virgin Atlantic is pioneering new technology, which will enable visually impaired customers to enjoy the full range of on-board entertainment via specially adapted iPads. Working with UK tech company Bluebox viation Systems, the innovative iPad-based platform was tested by representatives from Guide Dogs for the Blind includes audio descriptions, large type, and consistent layout and controls. 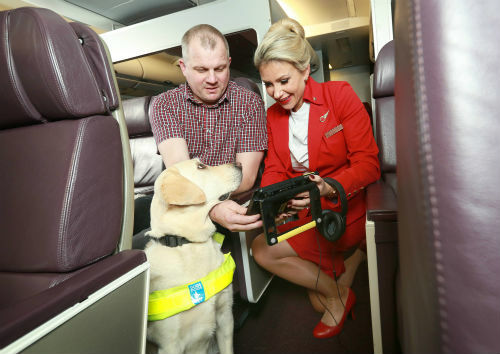 Virgin Atlantic and Bluebox worked closely with Guide Dogs for the Blind to assist with the development of the special kit and considered a number of impairments which it could benefit, including blindness partial vision and sensitivity to brightness. Representatives from the charity provided recommendations for the initial design and undertook a year of extensive system testing to ensure the technology met their needs. Improving its IFE offering is just the latest in a number of steps Virgin Atlantic is taking to change its overall customer experience for the visually impaired. The airline already offers familiarisation days, which include aircraft visits, allowing visitors to get used to the on-board systems before they begin their actual trip. Similarly, guide dogs who have not fully passed their training are not allowed to fly, so the airline allows familiarisation courses for them too, to get used to the aircraft environment.